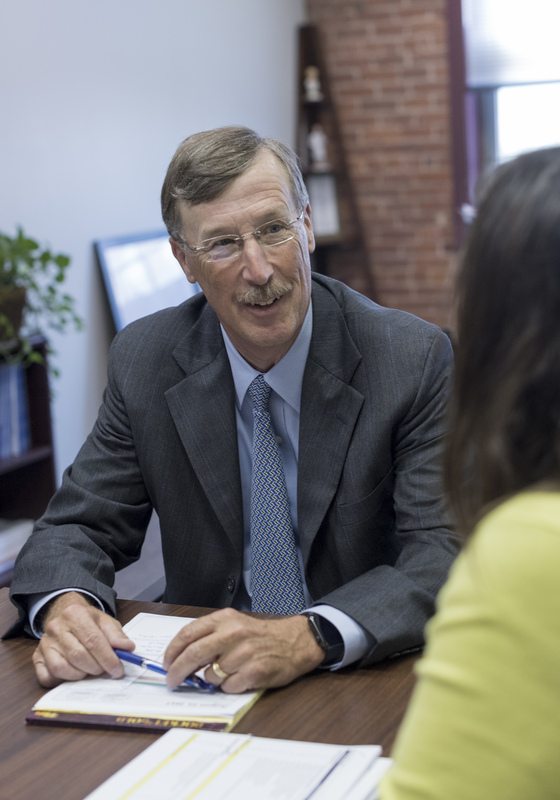 PROVIDENCE – Care New England may offer more outpatient services if the group’s proposed acquisition by Boston-based Partners HealthCare is approved, according to CNE’s leader. An ambulatory care center is high on the list of clinical needs discussed with Partners, Dr. James E. Fanale, CNE’s president and CEO, said Thursday during a meeting with Providence Business News. A building formerly used by a medical practice on the Butler Hospital campus may convert well into an ambulatory care clinic, Fanale suggested, with other such investments on the drawing board. In addition to primary care, such a center would allow more patients to have relatively simple surgeries and other treatments without having to check into the hospital. More doctors, nurses and other support staff are expected to accompany a new ambulatory center, Fanale said. “This is a terrific thing for Rhode Island in terms of the economy as well, this is bringing in physicians and nurses and allied professionals, whether they live here or not, and I believe a lot of them will … they’ll still be paying taxes here,” CNE’s board chairman Charles R. Reppucci said. This week marked the first time CNE has offered insight into improvements it has maintained will come about as a result of a merger with Brigham Health, the entity within Partners that proposes to absorb CNE. Citing a review process by the state’s health department and attorney general that has yet to begin, Reppucci stressed that detailed spending plans aren’t cemented because no deal has been approved. “We’ve got a great transition plan that’s in discussion, but it hasn’t been finalized. We’re not prepared to talk about it because [the merger] hasn’t been completed,” he said. Applications for the merger are still incomplete, but CNE and Partners likely will be finished supplying additional material by the end of this month or in early May, Fanale said. Once everything is submitted, R.I. Department of Health officials will have 90 days, which includes a public review period, to consider the request. The R.I. Attorney General’s office has its own review process that runs at roughly the same time, although there were not predictions on when the material would be submitted or evaluated. Partners is aware of CNE’s financial needs, which the two groups have discussed at length, Reppucci and Fanale said. Renovations to existing facilities, particularly the nearly 40-year-old labor, delivery and recovery unit at Women and Infants Hospital, will take first priority should the merger be approved, they said. A merger could also mean some shake-ups with administrative jobs. While back-office efficiencies may result from the merger, Rhode Island may present a cheaper alternative for Partners, which currently houses much of its administrative department in the Boston area, Fanale said. Partners agreed to acquire CNE nearly two years ago, and the groups requested an expedited review of their merger application late last year. The proposed deal has triggered pushback from Lifespan, the state’s largest health care provider. Lifespan President and CEO Dr. Timothy J. Babineau has publicly worried that the merger will drain Rhode Island of medical services by sending patients and doctors to Boston, a claim that Fanale consistently disputes. A previous version of this story mis-characterized Fanale’s identification of the rehabilitation needs of Women & Infants Hospital’s labor, delivery and recovery ward.